Scopy is an app that logs in to your Twitter account and filters your feeds to only show posts that have pictures in them. Instead of trying to find the photo you want and going page after page of tweets, you can find them easily just with the photo filtering app. The features of this app include browsing all photos from your timeline directly, a thumbnail mode to scan through photos quickly, taking snapshot, geotag photo and post it to Twitter, 8 easy-to-use effects to add mood and impact to your photos, locate your friends on mini map from their geo-tagged tweets, find friends and followers and view all their photos in a row, and search tweets with photos by keywords. 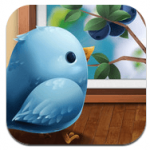 This app can browse photos from a wide variety of photo sites. They include Camera+, Flickr, Img.ly, Imgur, Instagram, Picplz, Plixi, Steply, Twitpic, YFrog, Twitgoo, Embedly, Posterous, Screencast.com, Skitch, and deviantART plus many more. You can also do amazing effects with Vivid, XProcess, Noir, Golden, Chill, Vintage, Delta, and Sakura. Daily Deeds: Track Your Habits is an app that helps you motivate things that you need to do every day. You could state that you need to go to the doctor, clean out the attic or even mail a care package to someone you love. 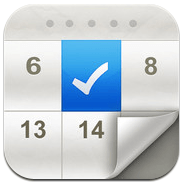 It keeps your tasks together so that you can get everything that you need done for the day. You can review your progress as well as your habits on an all-in-one calendar view, and you can quickly create PDF reports and share them via e-mail. You can even back up your daily deeds to your Dropbox account. It should be noted that there is another app just called Daily Deeds by the same developer, but it states on the app’s page that it will be phased out. This app is replacing the old one so you might as well get it free while you can since the older app cost $0.99. 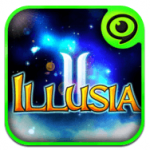 Illusia 2 is a role playing game that is played in real time fighting rather than a turn base RPG. You have a choice of three different characters (Warrior, Magician, and an Assassin) all with unique characteristics. You also travel to and explore four different worlds as well as fighting the things that are out to get you so after defeating them you will level up to a very powerful character. Once you clear the story, you can go head to head in asynchronous PVP Mode, Defense Mode, and Rush. When testing this game, it might be a little frustrating at first because the intro is very long (had to skip past so many times in order to start playing!) so if you are into very detailed storytelling of the game you are about to play then you might have to sit back and relax for a while.